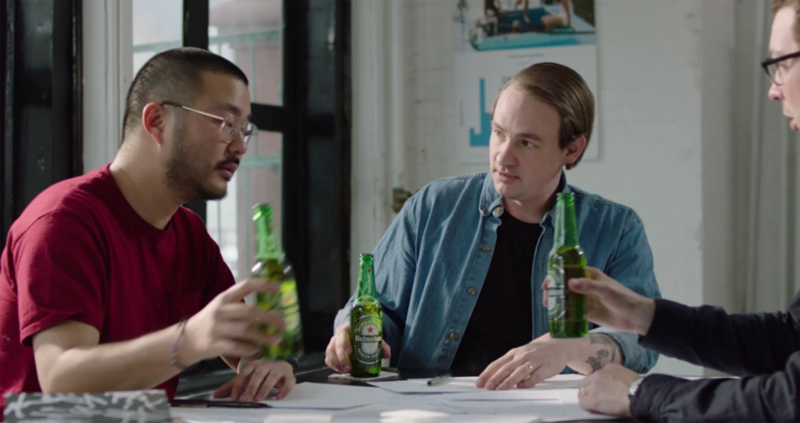 “The Cities Project by Heineken is all about making great cities even greater, and we have a special connection to New York’s waterways, since traversing them to become the U.S.’s first import beer following prohibition. Following up on our recent successful projects, including San Francisco’s Bay Lights Bridge and Miami Marine Stadium, we encourage everyone – not just New Yorkers – to show your support, and to help us Brew a Better World by bringing + POOL to life.” — Raul Esquer, Brand Manager, Heineken USA. As a part of Heineken’s sponsorship, they’re supporting a whole range of + POOL projects and initiatives, including: A campaign to get 100,000 New Yorkers to pledge to swim in the river at swimintheriver.com (and they’ll donate $100K if we reach it), an NEA-backed public art installation in the river called + POOL Light, a documentary short produced by Paula Weinstein and Tribeca Studios, our 2016 Fall Swim Gala at The Standard, High Line, our 2017 Summer Pool Party at the William Vale Hotel, our 2017 Fall Swim Gala at The Bridge at Cornell Tech, our 2018 Summer Pool Party at the William Vale Hotel (again!) and this website—a complete timeline that shows every milestone since 2010. HEINEKEN USA Inc., the nation’s leading upscale beer importer, is a subsidiary of HEINEKEN NV, the world’s most international brewer. Core brands imported into the U.S. are Heineken®, the world’s most international premium beer brand, the Dos Equis franchise, the Tecate franchise and Strongbow Hard Apple Ciders. HEINEKEN USA also imports Amstel Light, Newcastle Brown Ale, Red Stripe, Sol, Indio, Carta Blanca and Bohemia brands. For the latest information on their company and brands, follow them on Twitter @HeinekenUSACorp, or visit HEINEKENUSA.com.